Siding is one of the most important parts of any home’s exterior. It complements the roof in terms of visuals and protects the outer walls from physical damage, moisture, and vermin. Plus, together with wall insulation, it allows the home to use energy more efficiently. Few siding products, however, offer all three and still look like a seamless part of any historical home – save one: James Hardie® and its composite siding products. As a James Hardie certified siding installer, Rapid Roofing explains why you should choose it for your classic home. James Hardie siding is available in several textures, widths and colors that fit the most exacting design requirements. Homeowners have access to a wide selection of colors, especially those living in historic homes with specific color, texture and shape requirements. The great thing about James Hardie products is that it allows deeper relief, perfect for wood grain that you not only see but also feel. That, combined with James Hardie’s ColorPlus® Technology, a factory-applied and cured coating that resists fading, makes for a more vibrant exterior without worrying about fading, cracking or chipping. James Hardie’s baked-on ColorPlus Technology doesn’t just feature long-lasting finishes; it also saves you the effort of scraping and repainting every now and then. 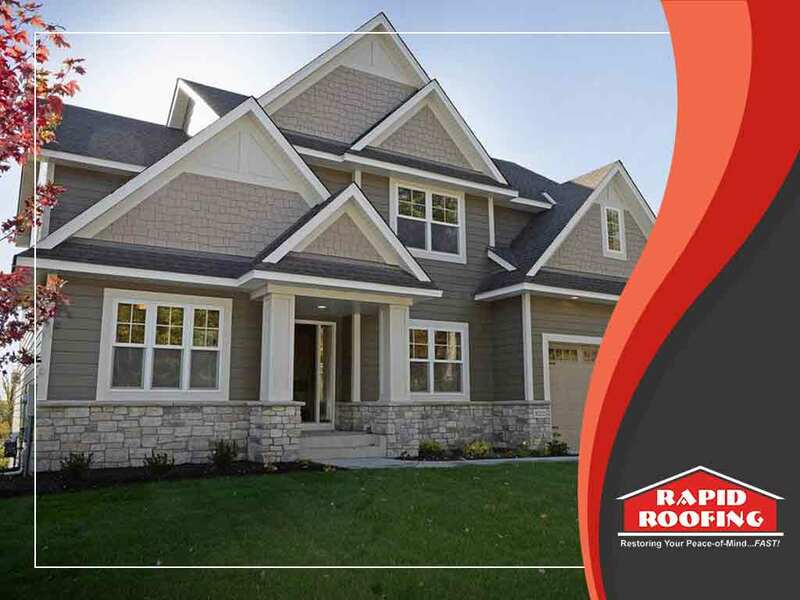 Coupled with its imperviousness to water and the ability to shrug off temperature changes, a James Hardie siding product gets you more mileage for every dollar spent in siding installation service. James Hardie is famous for its material, fiber cement, tested to resist most siding problems like cracking, rotting and impact damage. And as a fully-certified James Hardie contractor, Rapid Roofing can ensure that you will enjoy the benefits of James Hardie’s industry-leading warranties, including a 30-year non-prorated, transferable manufacturer’s warranty. It’s easy to see how these features of James Hardie siding make it the favorite of homeowners living in houses with a legacy. Still, if you want other options, we also offer vinyl siding installation. To get started on your siding replacement, call us today at (734) 234-5900. We serve Canton, MI, residents.